So many people of the last few years have asked me about the process of applying to Medical School. I can't help but be proud of myself for how well I excelled in this aspect of my life. 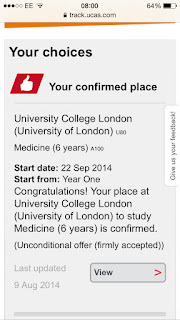 I know I haven't done so well since but after a lot of hard work, putting myself under a horrendous amount of stress and doing so much research I succeeded in applying to 4 universities for Medicine, getting 4 interviews and 3 offers. In the last 3 weeks, my father (a GP) has had a number of students do work experience with him. Some way or another, I got brought into the conversation and as a result my dad gave them my number and they asked me for advice. Of course he asked me first and I said it was okay. Every time I resend a message I think of more things I could include, more advice I can give and some tips and tricks to make the whole applying process easier. Finally, I have decided to write a Medic Series on my blog so that in the future I can refer them to a number of posts. This way it is clear which topics are covered and hopefully will make it easier to understand. Instead of trying to fit every little detail into one long text - it tends to turn into a jumble of mess and words - there will be clear titled blog posts for each subject that needs to be addressed. While I am having a boring week with not much on, I thought this would be the perfect time. 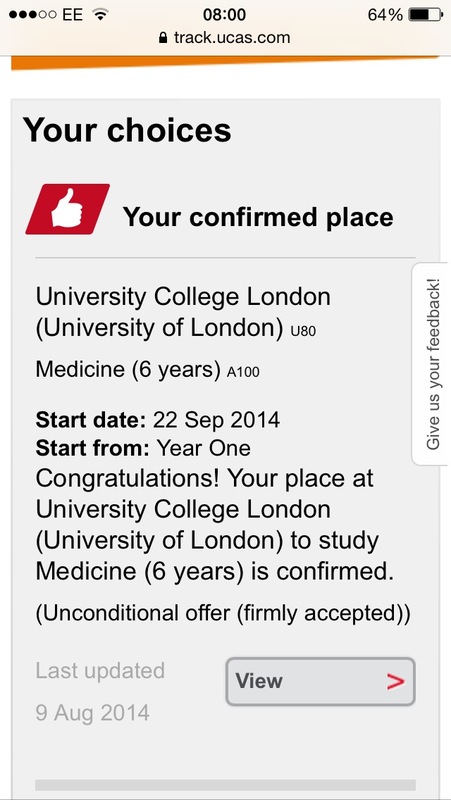 Plus the medical school admission process is almost over...eek! I would just say one thing. 2 people have been very nice and thanked me profusely. One has completely ignored my help and not even replied. As much as I am happy to help and impart any little chunk of wisdom I may have, one thing that is always appreciated is being recognised for the help that I have given. For future reference to medic hopefuls and anyone else who wants to be kind, respect is earnt. In one of my first lectures, we were told that medicine students are immediately looked on as doctors. As such, they have a certain amount of trust and respect instilled upon them immediately before they have even learnt anything. This respect can be lost just as easily as it is given and once the respect is lost by colleagues, it is difficult to gain back. It's quick to roll down a steep hill but takes a long process to walk back up.